When I was a kid, my uncle Bill once picked a pail of wild gooseberries from woods in Pawnee County. Clueless what to do with them, he gave them to my mother. She baked them into what was probably a very good gooseberry pie, but I did not care for it. It was too tart for my tastes. Of all the possible gifts our candy store-owning uncle might furnish – he brought bitter fruit. My next encounter with gooseberry pie occurred about 20 years later when my brother brought one to Thanksgiving dinner. Hesitantly, I tried it, and to my surprise, found it delicious; and my now adult tastes have since craved this delicacy. North American gooseberries and currants belong to the genus Ribes and are similar in characteristics, except gooseberry stems have spines and prickles, whereas currant stems are unarmed. Six Ribes species are native to Nebraska. These shrubs grow up to six feet tall and have alternate, roundish leaves with three to five palmate lobes. The fragrant flowers, hanging in clusters or singly among the leaves, bloom April through June with showy petals white, green, yellow or pinkish in color. The fruits, a globeshaped, fleshy berry, appear July through September and ripen to hues of black, purple or red, with the withered flower often persisting at the tip. Hairy-stem gooseberry (R. hirtellum) and northern gooseberry (R. oxyacanthoides) grow only in northwestern Nebraska and are uncommon in our state. Missouri gooseberry (R. missouriense), our most abundant and widespread gooseberry, is found in low, open woods and grasslands over the eastern half of the state. Wax currant (R. cereum), with leaves that emit a spicy-citrus odor when rubbed and become waxy with age (hence the name), inhabits dry gravelly slopes and canyons in the Panhandle. Buffalo or golden currant (R. odoratum), with yellow cinnamon- and clove-scented flowers, is common on hillsides and woodland edges, often on sandy soils, over the western two-thirds of Nebraska. American black currant (R. americanum), with golden resinous dots on the underside of the leaves, regularly grows in low woods and sloughs nearly statewide. All our Ribes berries are edible, though some are more so than others. 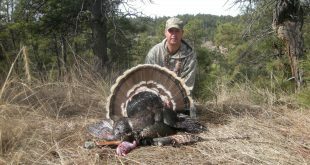 Kay Young, Nebraska’s foremost connoisseur of wild plants and author of Wild Seasons – Gathering and Cooking Wild Plants of the Great Plains favors buffalo currant berries as our tastiest and juiciest, ranking them just above the American black currant berries in flavor. Whereas, gooseberries can be a bit sour even when ripe, though still tasty. For Plains Indian tribes and early white settlers, gooseberries and currants, along with wild strawberries, plums, chokecherries, serviceberries and raspberries, were the only available fruit. Indians enjoyed gooseberries and currants fresh, cooked, juiced or dried. Some tribes used currants, along with larger amounts of chokecherries and serviceberries, in pemmican – a winter staple of dried and pounded meat and berries to which melted buffalo fat was added. They sometimes cooked Ribes leaves with meat and dried the leaves for tea. Settlers ate gooseberries and currants fresh, preserved and cooked into flavorful pies, jellies and jams. In the 1960s, while gathering information for her book, Young interviewed many direct descendants of settlers. They commonly told how their parents underutilized the abundant gooseberries for want of costly sugar to sweeten the fruits for cooking. Young’s book includes savory recipes for ripe and under ripe gooseberry jelly; buffalo currant jelly, jam and syrup; traditional and custard gooseberry pie and buffalo currant pie among others. Missouri gooseberry fruits, generally larger than currant fruits, can be used in cooking either ripe, under ripe or in combination. When using under ripe fruits, she recommends choosing large, light green berries (at first, the berries are small and dark green, then enlarge and fade to light green before ripening to a purple-black). For jelly, the under ripe berries are often preferred because they contain sufficient pectin to jell on their own, whereas ripe berries require adding commercial pectin. Only the sweet, ripe, black to purple-black currants are eaten fresh or cooked. 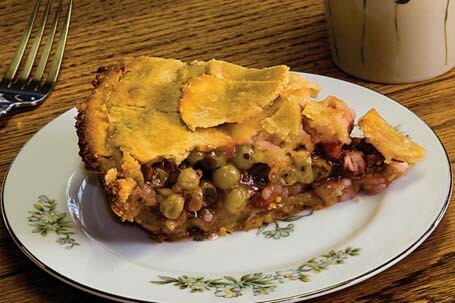 As a child in the 1930s, Young picked wild Missouri gooseberries from a prairie remnant on her family’s acreage near Lincoln to satisfy her father’s love of gooseberry pie. “For Dad, all good days started with a slice of gooseberry pie for breakfast,” said Young. She still visits an often fruit-laden gooseberry bush in woods near Lincoln when she is not using berries from transplanted bushes in her own backyard. Missouri gooseberry and buffalo and American black currant plants are also commercially available. 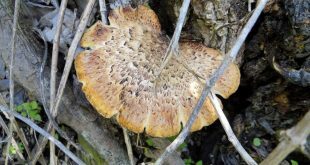 They are easily established, make an attractive ornamental and wildlife relish their fruits. Young recommends planting them in well-drained, sunny locations and frequently watering. She, however, prefers to grow wild Missouri gooseberries, which are more resistant to the mildews that can plaque domestic varieties. In flavor and cooking characteristics, Young finds the fruits of wild gooseberries and currants and garden varieties similar. Both make tasty treats, either fresh off the bush or cooked. Roll out the pastry and arrange the bottom crust in the pie pan; set aside. In a medium pot, crush 1 cup of the gooseberries. Stir in the sugar, tapioca, and salt, then set this aside for about 5 minutes to allow the tapioca to soften in the gooseberry juice. Cook, stirring constantly, until the mixture thickens. Put the remaining gooseberries into the pie shell and pour the thickened filling over them. Scatter pieces of margarine or butter over the surface, then place the top crust over all and seal the edges. Make a 2-inch slit in the top crust to allow steam to escape during baking. Bake at 450 degrees for 10 minutes, reduce the temperature to 350 degrees and bake about 30 minutes longer or until the crust is lightly browned. Makes 6 to 8 servings. If possible, serve slightly warm. 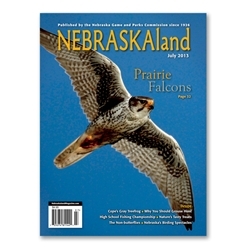 This article first appeared in the July 2014 issue of NEBRASKAland Magazine.